Details: Pointed arch entry canopy, entablature with dentil molding above first floor windows, window casings and crowns. 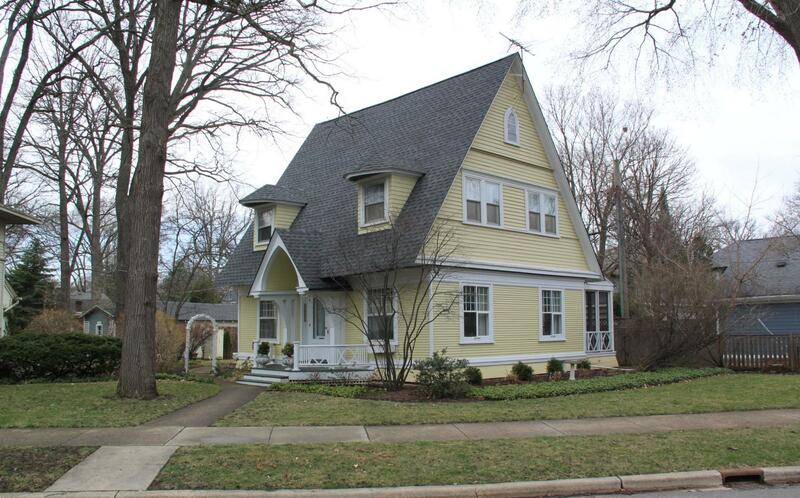 Historic Features: Side-gabled Colonial Revival cottage, clapboard siding, hipped dormers with overhangs, pointed arch entry canopy, steep pitched roof, entrance with sidelights. Exterior Alteration Permits: BP#24112, 1943.09.21, 2-sty frame house improvement, remove bearing partition 1st floor, enlarge living room. $200, Howard Hawley-OWN/ARCH; BP88-16581, 1988.06.08, Attached screened porch, $10,000; 08FNDO-0023: Dig down and remove existing brick foundation wall, replace w/concr wall; 08FRP0000000041: Replace existing fence. COA Info: 08HIS0000000067: Replacing existing fence on the N property line along the alley with a 6''H x 90''L traditional fence with lattice on top and replace in kind 4''H x 48''L wd picket fence on the front yd to match existing in kind and same location.